Monday before Gen Con. The office is busy as can be. We've got our drivers for the trucks showing up. Various other guests are here at the office, looking over all the preparations. Game prototypes are being boxed up to head to the show for people to see. Product is being wrapped and packed onto trucks. All sorts of surprises are getting prepped. My desk is surrounded by people. But that doesn't mean I can't work through the distractions to bring you today's Terrain Corner. 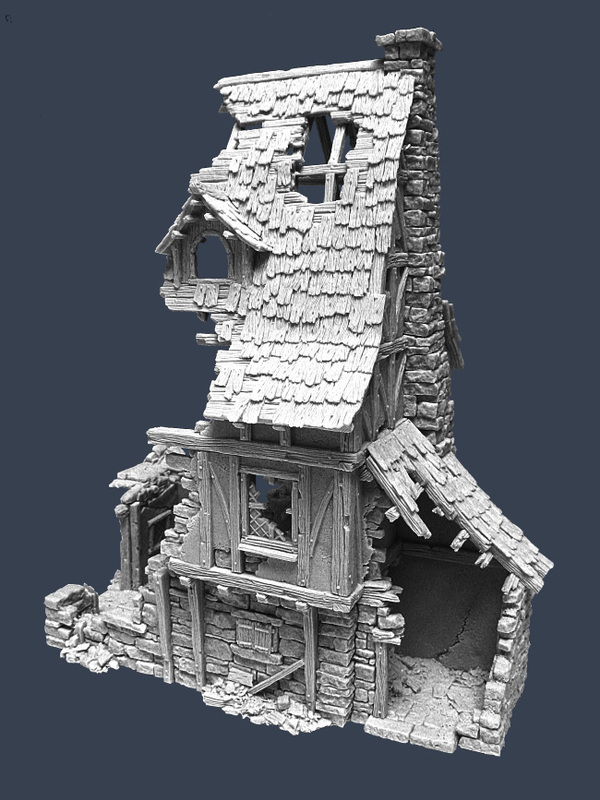 This week we have: Tabletop World released the Ruined Townhouse, Hexagon Mill Launchs Pre-Painted Modular Flatpack Terrian, Pwork Wargame Mousepad Gaming Mats Now Available, and Heroic Maps release Modular Kit: Forest Paths. 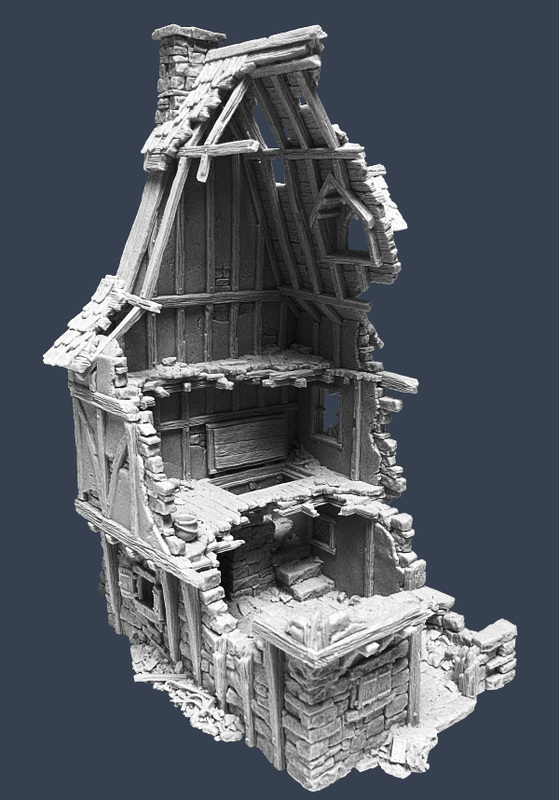 Since many of you were asking for a ruined building we decided to make one. 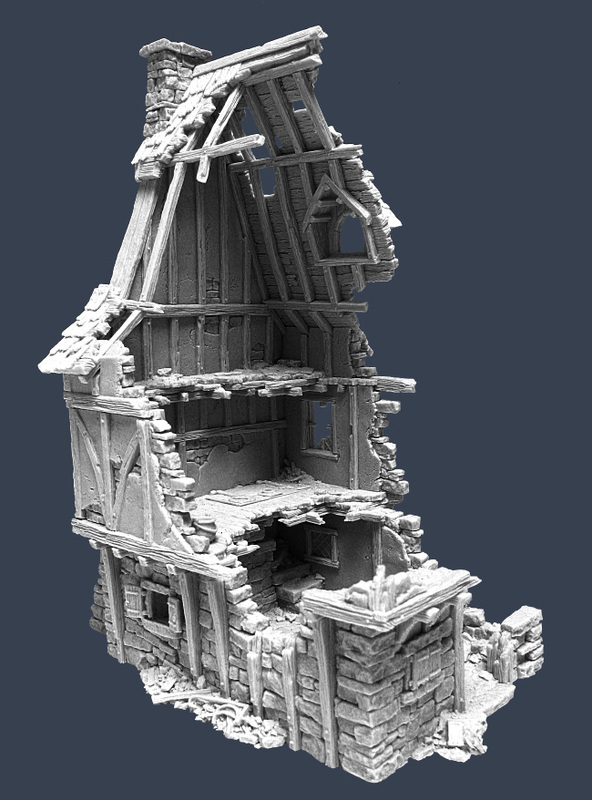 We present you the Ruined Townhouse. 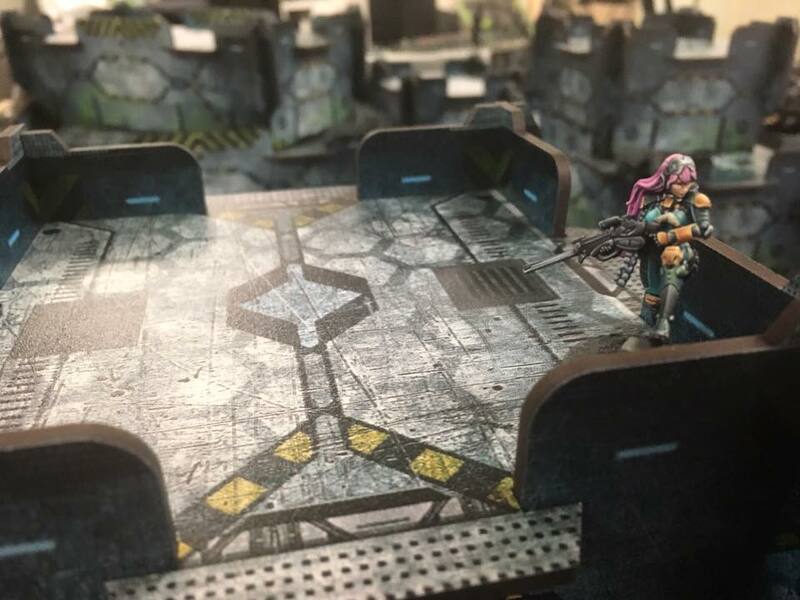 Hexagon Mill has finished fulfillment of its Kickstarter from last year, and has officially launched its line of pre-painted, modular, flatpack terrain. 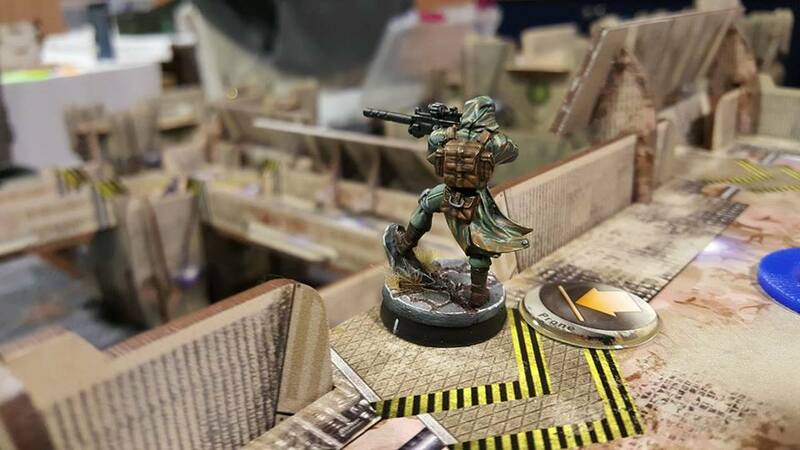 MOD-Block terrain is the ultimate in portable terrain. 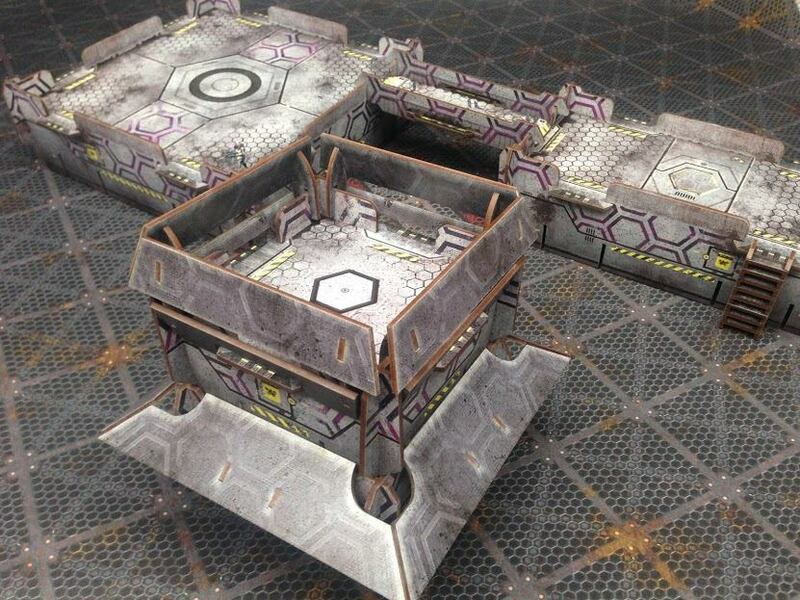 Spawned from the necessity of traveling wargamers, the MOD block breaks down into space saving components. 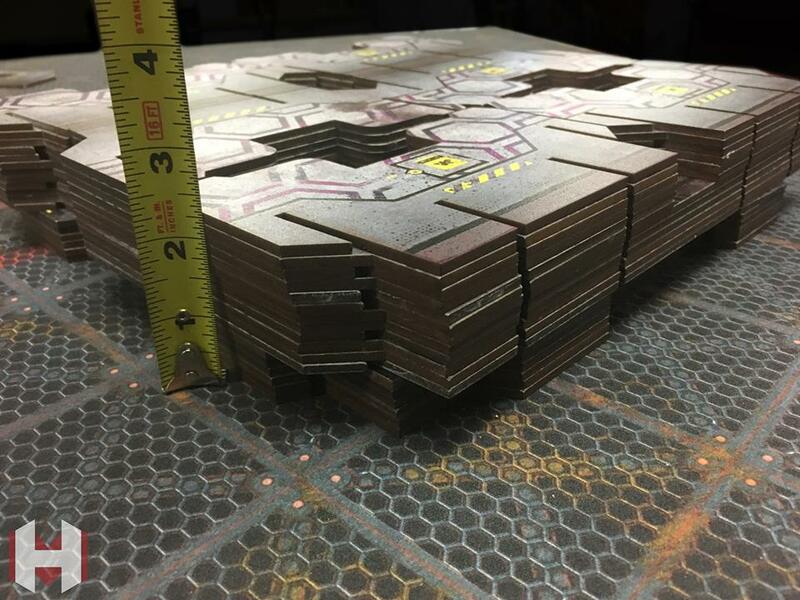 For example, a full 4'x4' "Infinity" density table breaks down to fit in a 12"x12"x3" box. The MOD-Block series is made out of 1/8th inch (3.175mm) MDF, not cardboard or PVC. 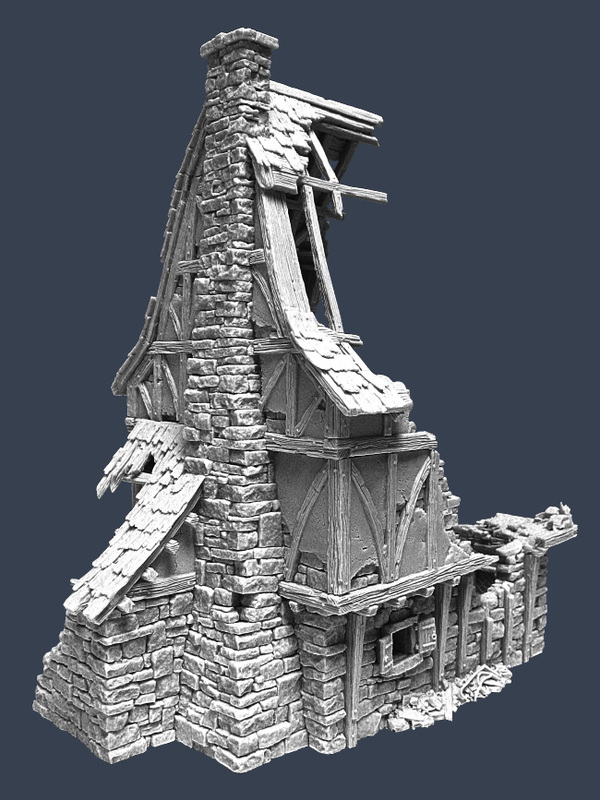 This offers it the ruggedness to be a game stores everyday terrain without a sweat. 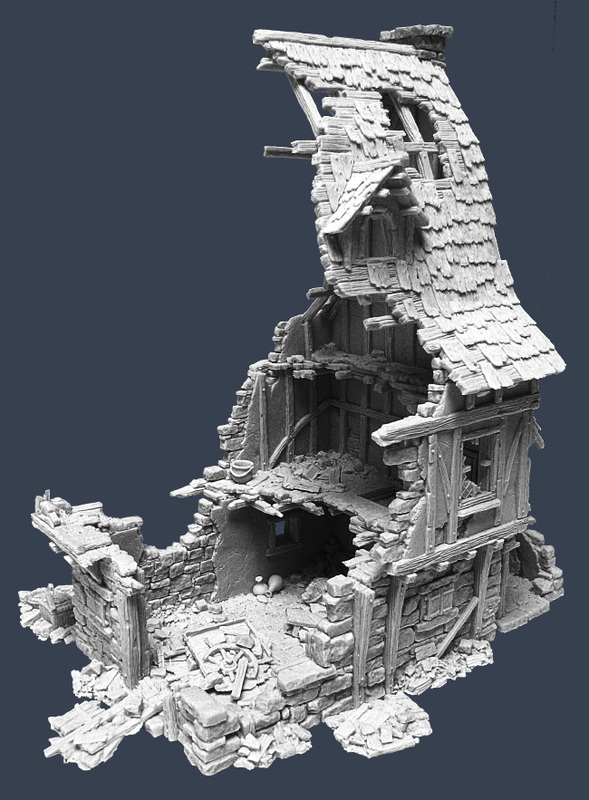 On top of that, it's offered in a variety of high resolution, incredibly durable paint schemes to bring your battlefield to life. PWORK MOUSEPAD GAMING MATS NOW IN STOCK! Fantastic new release from Pwork Wargames! 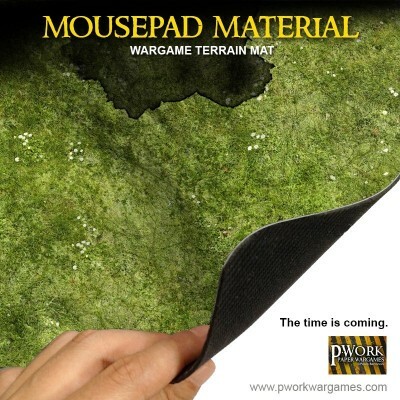 Finally Pwork Wargames Mats will be available in mousepad material! The perfect choice for a premium gaming table! 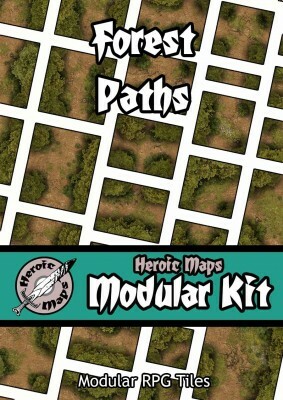 Modular Kit: Forest Paths comprises 64 different tiles that can be printed multiple times and arranged in limitless combinations. Three different width paths pass through dense forests. Straight pieces, junctions, bends, and clearings allow you to build forest paths of any size. There are also special 'encounter' tiles with plot ideas - an animal den, a fallen statue, a barrow, an abandoned camp and some ancient steps.